One News Page > Entertainment News > Joe Jonas & Sophie Turner Go Shopping in L.A. & Look So Cute! 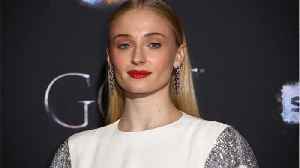 Sophie Turner Opens up About Previous Suicidal Thoughts Turner recently spoke with Dr. Phil about what it was like growing up on camera. She spoke about how fame negatively affected her mental..
Turner, who plays Sansa Stark on the HBO hit series, said in an interview with Dr. Phil on his podcast "Phil in the Blanks," that she started to become depressed around age 17. "The biggest challenge..
JOHN SINGLETON, "Boyz N the Hood" director, hospitalized after stroke VICKY KAUSHAL's 'awww'dorable childhood photo goes viral!